Let your little monster go wild at your next costume party with this comfy Frankenmonster costume. 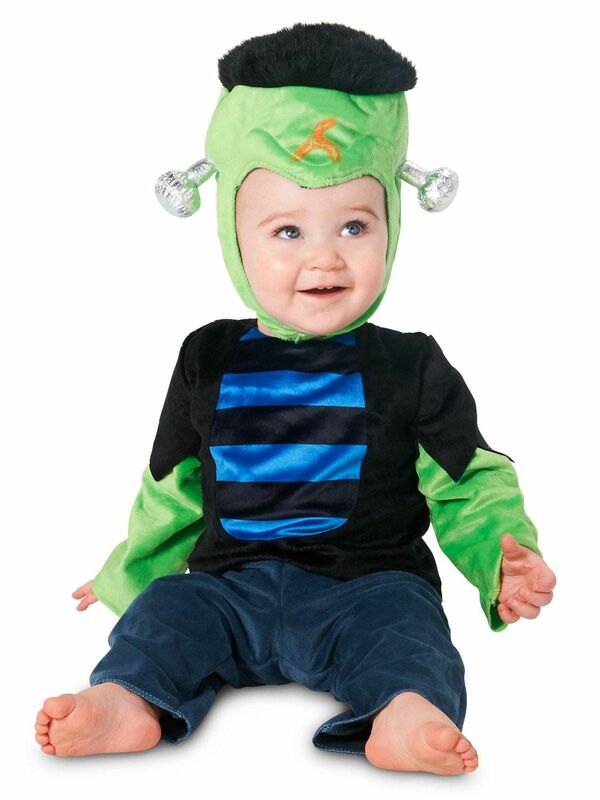 Dream Weavers Costumers has stitched together the perfect costume for your baby this year, the little brute's shirt and pants are soft plush poly knit with monster green sleeves. This authentic monster look is boosted by the padded headpiece which displays the iconic Frankenstein monster neck bolts, scar, and faux hair that helps him come alive! !